At BigFurnitureWebsite you'll find a broad selection of end tables, cocktail tables, coffee tables, sofa tables, hall tables, console tables, occasional table sets and accent table groups. You'll also find quality glass table, metal table and wood table designs in the latest fashions and styles including traditional, contemporary, casual and more. 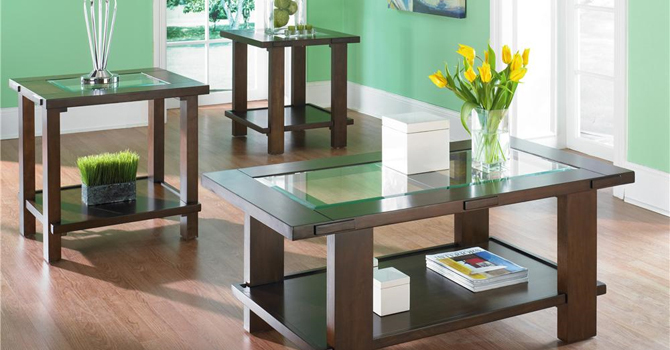 Complete your living room or family room looks with accent tables. BigFurnitureWebsite can help you find the perfect accent furniture, for any room in your house. Hall tables, accent cabinets, end tables, cocktail table, coffee table, sofa table, and more.